Join the DePue Brothers Band and special guest host, Keith Brand of WXPN’s Sleepy Hollow for an astounding evening of ‘grassical’ experience as these 7 nationally heralded classically and jazz trained musicians bring us an evening of Bluegrass Fusion! Special guest banjo player Tony Trishka will be with the band for the 2011 benefit concert. 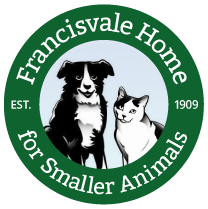 Every ticket sold benefits Francisvale and the wonderful work they have been doing as America’s oldest continuously operating no-kill shelter for over 100 years right here in our own Delaware Valley. Treat yourself and friends to VIP level tickets(premier seating) and receive invitations to the after concert party upstairs at the Colonial and take home an autographed compy of the Depue Brothers CD, ‘Weapons of Grass Destruction’ as part of your VIP package! Drinks and Desserts on the band and a meet and greet with ‘the boys’ themselves. VIP tickets are limited!! Our thanks go out to our growing list of sponsors! **want to become a sponsor of this important annual benefit? Please phone Riannon Walsh on 610-986-6511 to discuss sponsor levels and benefits. This entry was posted on Tuesday, April 5th, 2011 at 12:14 pm	and is filed under News.